Do you need new locks installed on your home, office, or car? Our professional lock technicians can upgrade your old, poor-quality locks with new locks in no time. Lock installations are your first line of defense against intruders and burglars. Stop wasting precious time and get in touch with the Get-Locksmith team today! We're fast, experienced, reliable, and charge some of the most affordable rates in the industry. Why Should You Change The Locks On Your Home/Office/Car? When it comes to lock change and installation services for residential, commercial, and automotive needs, Get-Locksmith is your go-to expert. Our residential locksmiths will come over, assess the state of your current door and window locks, and assist you with your solid, outdated, broken, or rusty door lock installation. Our goal is to ensure that your every need will be perfectly matched and catered to. The size of your budget, the style and level of security you are aiming for will determine the solutions we will offer you. While we charge some of the lowest rates you will find, we are well aware of the fact that not everyone can afford to invest in state-of-the-art security measures. This is why we recommend a mix of sturdy deadbolts topped by a good alarm system as one of the most efficient solutions. Keep in mind not all locks fit the current size of your front or back door, windows, sliding doors, car doors, or mailboxes. An experienced locksmith will correctly assess your exact needs and recommend the best type of locks for them. 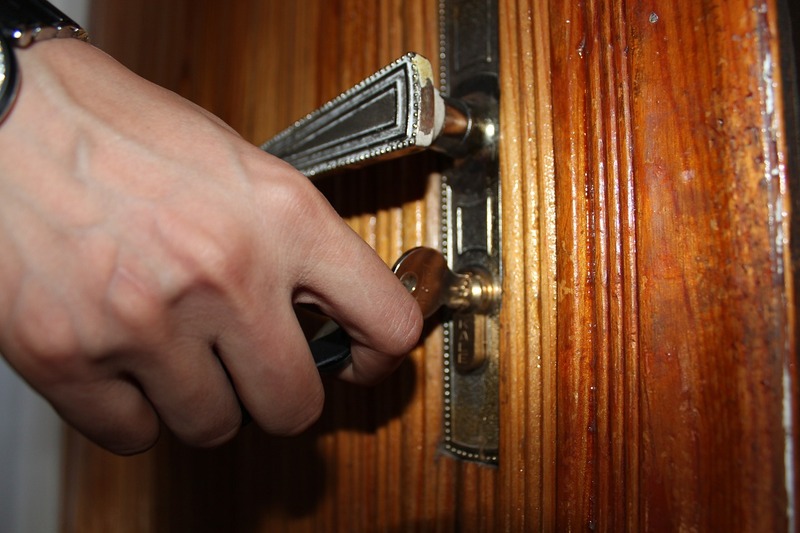 Locks that are installed the wrong way will jeopardize the security of your home. With years of experience when it comes to lock installations, our team can quickly and safely fit any type of lock, hassle-free. Smart, electronic, or high-security electronic lock systems count among the most popular solutions today's commercial building managers choose to opt for. Keyless, digital keypads come with numerous advantages that eliminate the risks associated with the use of regular locks and keys. Biometric digital fingerprint scanners and card lock systems can add impressive levels of protection to any commercial building that stores expensive office equipment and confidential files. Our office lock change solutions come at the lowest rates in the industry, so make sure to schedule an appointment today. For commercial properties, we offer a variety of options including high-security Mortis locks, electronic lock systems, panic bars, master key systems, and more. For large commercial properties such as apartment complexes, hospitals or schools, we offer great rates, and sometimes multiple locksmiths will work on the site to get the job done in a timely manner. The locks on your vehicle are also subjected to the wear-and-tear factor, along with other specific vulnerabilities, break-in attempts, crashes and the list goes on. If you are currently experiencing any kind of problem that requires car lock replacement help, get in touch with us. We are experts in this field and we come fully equipped with all the tools and gear needed to replace any type of lock, no matter what vehicle you might be driving. We specialize in all makes and models of cars, ranging from modern sports cars to SUVs, motorcycles, vans, and trucks. Our mobile teams will get any lock replacement job done on the spot, so you can resume your driving in no time. These locks are found in most homes, and they offer an extra layer of protection over built-in types of locks. We can also introduce you to a number of advanced deadbolt lock options that will provide you with more security boosting features. We can also replace your old locks with alternatives that employ digital solutions, including brands like Master Lock, Kwikset, Schlage, and more. These locks have similar features to deadbolt locks, but they provide different layers of protection. They are operated via a key from the exterior and a doorknob from the interior. Mortise locks require a key on both sides of the door in order to open, which is a huge advantage they are also stronger and sturdier. The best brands of mortise locks we work with include Yale, Marks, and Belwith. Lock technology has reached new levels of complexity during recent years. If you are ready to make the switch to a state-of-the-art, high-tech lock, our lock change services are readily available. We can replace your old home or office locks with keycards and keypads, fingerprint and other biometric lock systems, and even keyless, mobile phone app systems for remote control of your locks. You will be able to keep track of everyone entering and exiting your property, the time of their visit, receive notifications when someone is trying to break into your place and more. All parts and services are backed by a 90-day warranty so Click here, find your local get locksmith franchise and get a free quote! We also invite you to visit our store and examine the variety of locks we have to offer. If you are interested in a particular lock not found in our inventory, we may arrange for a special order as well. For your own peace of mind and personal safety, get in touch with the Get-Locksmith team today and make your locks your first line of defense! What is the difference between re-keying a lock and replacing a lock? Re-keying is when the internal pins and levers of an existing lock is altered to work on an entirely new key. Replacing the lock consists of changing the physical lock entirely, including new hardware and locking mechanisms for your door. This is recommended if you are interested in upgrading the security level of your existing lock. What is a restricted key? Restricted keys are identified with a label "Do Not Duplicate" and requires approval from the owner to be copied. They are used on high-security locks, equipped with anti-pick and anti-bump features, making it more difficult to break into. Our locksmiths have years of experience in handling these locks and may install them upon your request.